Check Out Some Of Our Best Offers! 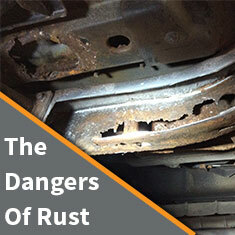 Our Rust Proofing and Undercoating Performs So Well You Wont Believe It! Who wants to buy just a warranty? If you have to use it, then your vehicle has already been compromised. 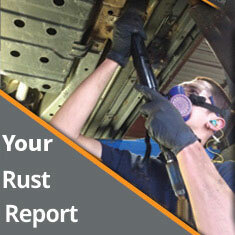 We’re not in the business to sell warranties, nor do we want to just sell rust proofing spray and undercoating. We are selling what these products do when professionals are dedicated to serving their customers. 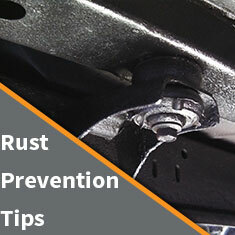 Rust starts in hard-to-reach places, so we apply product at high pressure with extended probe tips. We also recommend and encourage customers to stop back periodically to evaluate their coating’s performance and let us touch up any scrapes or nicks to make certain your metal is fully protected, free of charge. This is an extremely unique service that has previously been reserved for city infrastructure and shipping vessels. We can attack the corrosion at the source. By stripping the scaled layers and coatings, we can penetrate the base metal with our premium undercoating. This process is billed hourly. 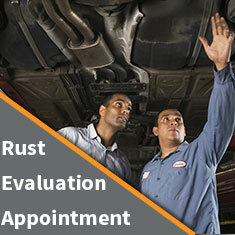 Book an appointment online and receive a $10 voucher for any descale process.